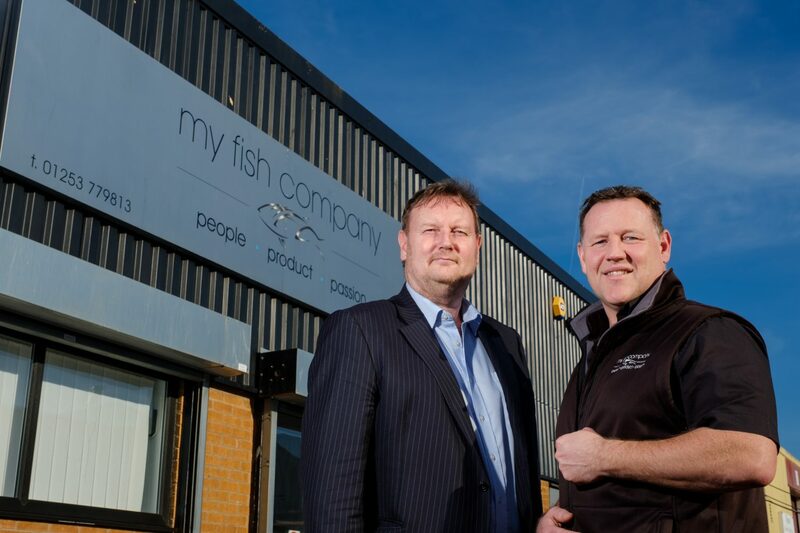 A fish and seafood supplier is expanding following £250k funding from NPIF – FW Capital Debt Finance, managed by FW Capital and part of the Northern Powerhouse Investment Fund. My Fish Company, based in Fleetwood, Lancashire supplies customers across the North West including hotels, restaurants and pubs with sustainable fish and seafood sourced from the UK, Scandinavia, Turkey and the Far East. Set up by Director Gary Apps, My Fish Company began trading in 2015 with just one client and 12 staff members. In the last three years the business has grown significantly and now has 350 customers and 50 staff members. In order to finance its plans to expand the business and develop its potential, the company approached FW Capital, which specialises in funding for small to medium sized businesses (SMEs). FW Capital has loaned the business £250K allowing it to expand its existing premises, invest in new software and see the creation of 10 new jobs including logistics, production, administration, customer service and sales staff. Director Gary Apps said: “I worked in the industry for many years for two major national corporates and I thought there was a gap in the market for an independent supplier. “We’re all about people. Our focus is on high quality customer service and staff that are passionate about what they do. “For us to be more efficient we needed to digitalise the business. We have introduced an online ordering system, software to assist with quality and traceability and digital systems in the factory to make us more efficient which is so important in the food industry. “We also we needed bigger premises. Fleetwood is a historic fishing town with its fish market and excellent industry transport network and I wanted to commit our long-term future to the town. So we are going to expand our existing facility by taking the units next door rather than moving. “We are also launching an apprentice academy in conjunction with local organisations which will provide opportunities for local people to learn a trade and gain a recognised qualification. David Taylor, Chair of the Lancashire Enterprise Partnership, said: “Lancashire’s Fylde coast is synonymous with fishing, and the county as a whole has a long tradition of great food and beverage production. It’s therefore fantastic that through this NPIF funding Gary and his team are set to embrace more digitilisation which will ensure the high quality of their catch is matched by even better customer service, improved quality control and increased productivity. It’s also a good example of how the benefits offered by Industry 4.0 technologies can be enjoyed by any type of business regardless of size or sector.